Violence against civilians across Sudan has escalated to levels unseen since the height of the Darfur genocide. Pockets of famine and genocidal targeting are threatening civilians in both Sudan and South Sudan. As the media has largely ignored these crises and few Americans are aware of them, our political officials are following suit. In response, the Enough Project and partner organizations have launched Decisive Action Sudan, a campaign to engage activists and ordinary citizens in all 50 states to meet with and urge their Members of Congress to take action toward supporting peace in both Sudan and South Sudan. Lobby for Change: Meet with your Members of Congress during the August Congressional recess and show our political leaders that ending the crises in Sudan and South Sudan is an urgent priority issue. We’ll be providing fact sheets, background materials, training calls, and more to prepare activists across the country for their meetings. Join the Conversation: August 19th is World Humanitarian Day. Be inspired to act by participating in an hour-long live Google Hangout with Sudan experts and survivors as we discuss current events and actions. Sign On: Ask key U.S. Government officials to do what it takes to end genocide and crimes against humanity in Sudan and end the conflict in South Sudan. Visit the Decisive Action Sudan campaign website to learn more and sign up to participate. 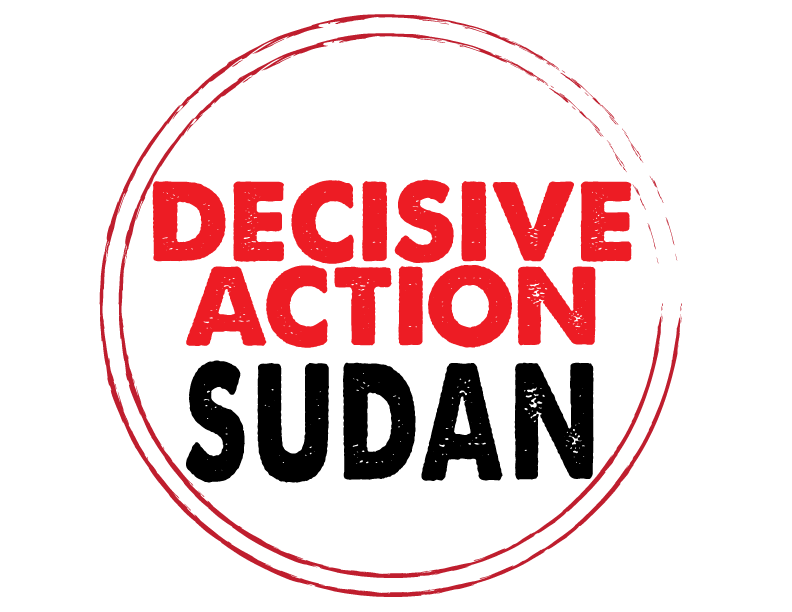 Decisive Action Sudan is a collaborative campaign led by organizations working to end genocide and ethnic violence in Sudan and South Sudan. In addition to the Enough Project, cosponsoring organizations include Act for Sudan, Carl Wilkens Fellowship, i-ACT, Jewish World Watch, STAND, and United to End Genocide.